Just a quick note in setting up transport layer security on the MQTT Mosquitto broker for both supported protocols: MQTT and WebSockets. This can be quite easily accomplished by using the following script: https://github.com/owntracks/tools/blob/master/TLS/generate-CA.sh. This script will generate a self signed certificate to be used by Mosquito for providing TLS for the MQTT and WebSocket protocol. All that is needed to run the script is to have openssl installed on your Linux machine. If the script is called without parameters, it will generate a self signed certificate for the hostname where the script is running. Otherwise a we can pass a hostname as the first parameter to the script. ca.crt – The CA (Certificate Authority, who published the host certificate) public certificate. hostname.crt – The hostname, that will run the mosquitto broker, public certificate. hostname.key – The hostname private key. After having these files, we need to configure the Mosquitto Broker to use them. After this we can modify the mosquitto configuration file. One important thing to keep in mind is that lines must be following each other without blank lines after the listener directive. We will make one more change, but restart mosquitto broker now and do some testing. We can use then the MQTT spy tool to publish or subscribe MQTT topics. This should work without any issues. The issue with this testing is that we are using a self signed certificate, so only useful for local, restricted, testing. Note that we are using HTTPS. When connecting to the above URL, the browser should complain about the insecure connection, due to the self signed certificate, and we need to add an exception and always accept that certificate. After that the error should be something like connection reset or failed to load page. This is normal, since the browser won’t upgrade the connection to a web socket. All this work of enabling TLS/SSL on the Mosquitto Broker is needed, since most IoT clouds that have MQTT interface need that the connection is over TLS/SSL. More specifically AWS IoT cloud needs the connection to be protected by TLS/SSL, but that connection must be only on version 1.2 of the TLS protocol. AWS IoT cloud also requires client authentication through client certificates, but we are not dealing with this part on this post. As we can see the lower versions of the TLS protocol are now not accepted. The Websockets client should work without any issues. The freeboard.io dashboard is one of the most popular dashboards to build an interface for displaying data. Still, for supporting the MQTT protocol some configuration is needed that is not exactly straight forward. Also if don’t want to use MQTT but web sockets, a similar not straight forward configuration is also needed. 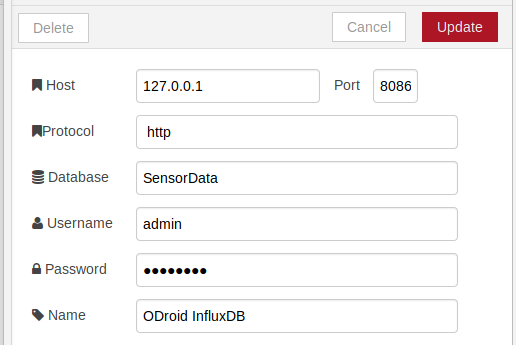 After that configuration (MQTT support for freeboard.io and WebSocket support for freeboard.io) we can add MQTT and Web Sockets datasources to our dashboards, and we get a nice customable dashboard framework. This dashboard is really nice since it has something that we might call as dashboard auto-configuration. We only need to configure the MQTT broker (with web sockets enabled, off course) and add device names to the configuration list. 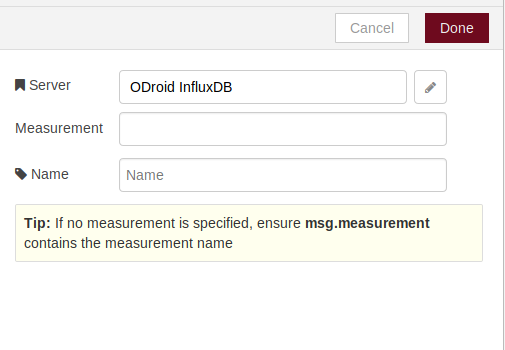 The device name is very important because it will be used in MQTT topic subscriptions (see below). The Crouton dashboard configuration is stored on the browser local storage, so it’s not central. This means, that if you change browser or machine the configuration needs to be done again for that specific instance of browser and/or machine. Also, based on my experience, this is rather fidly, sometime it saves, other times it won’t, and need to reconfigure everything again after closing and opening the browser again. 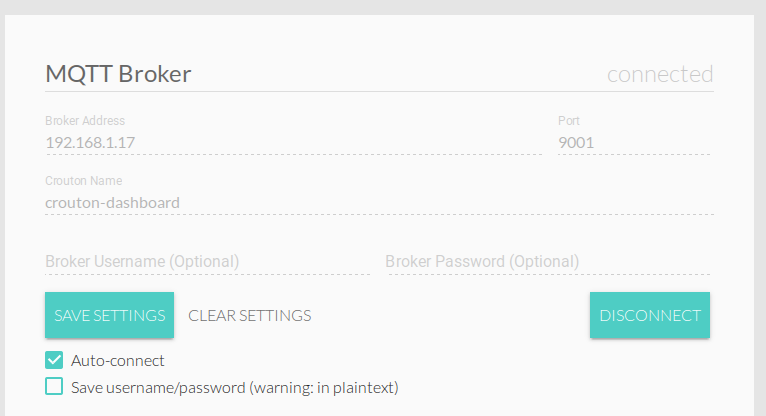 After the dashboard is connected to the MQTT broker, it searchs for specific topics based on the names configured on the Devices list. For each device it publishes to topic /inbox/devicename and subscribes to /outbox/devicename. At the initialization phase the Dashboard sends a get message to /inbox/devicename/deviceInfo. We can see that the device name is used to “find” a MQTT subscriber that answers to this topic. The subscriber that “owns” the topic /inbox/devicename answers to the get message with a JSON description of the device parameters to be shown at the dashboard on the /outbox/devicename/deviceInfo topic. The Crouton Dashboard sends to /inbox/Odroid/deviceInfo (Case Sensitive!!) and to /inbox/DiskStation/deviceInfo the message get and waits for a specific JSON response on /outbox/Odroid/deviceInfo and /outbox/DiskStation/deviceInfo to know how to automatically create the dashboard. With another words, the JSON response defines the dashboard. This means that to add a new metric, for example, we just need to add on the device the new metric and report it, no need to mess again with the dashboard configuration. We can now use the mouse to move around the tiles, but the it seems also that this configuration isn’t stored. 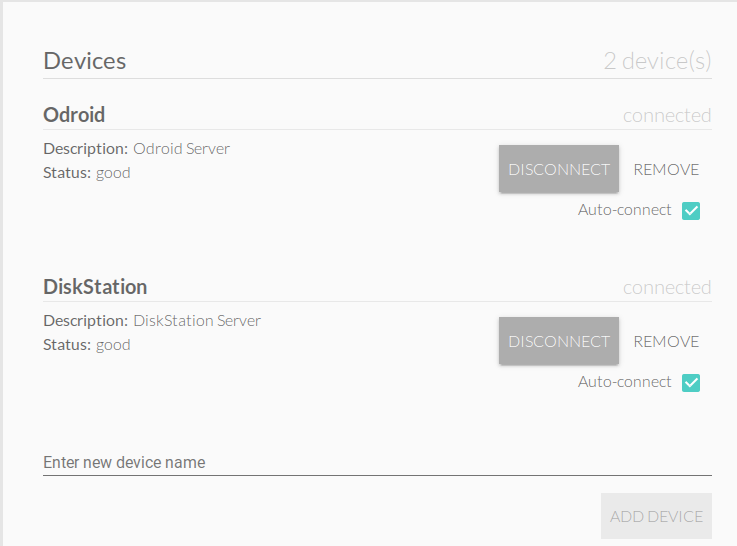 This is the neat part of Crouton Dashboard, this auto-configuration. The configuration is defined on the JSON response to /outbox/deviceName/deviceInfo MQTT topic. The JSON object defines the number of metrics and display format that device publishes and automatically associated to the metric name there is the MQTT topic /outbox/deviceName/Metric that the dashboard listens to. On the Crouton GitHub there are two examples of this, one in Python and other in Lua for the ESP8266 NodeMCU based firmware. I have a simpler one in Python, derived from the original Python example, for retrieving and send metrics from my Odroid SBC. The code is available here. At the all.py file line 9, the clientName variable is set to Odroid. This is the device name to set on the Crouton dashboard. The above configuration means that the end point /outbox/Odroid/RootDisk will have some value published that should be shown as a doughnut chart with % units. As a conclusion, this Dashboard is rather interesting and worth a look, even with it’s, for now, issues with saving the configuration. While the Crouton Dashboard is an standalone Node.JS based application, the Node-Red-UI is an extension the Node-Red itself. It adds a new range of UI nodes to the Node-Red available nodes that allows to also build a Dashboard, but this time, not limited to MQTT. In fact any node that can inject data into a node-red-ui works. And the data feed from the “agents” work on both dashboards. Anyway, regarding Node-Red-UI, it is an all other world, and I recommend to join and/or read the discussion group for this project. While doing some test with MQTT using the Sming Framework for the ESP8266 I had some issues that are worthy to be documented. The Sming Framework uses the libemqtt library for MQTT support, and it seems it works fine. Connection, subscribing and publishing work out of the box, and one important thing, the keep alive mechanism also works. We can see how MQTT can be used with the Sming framework in here. It is the responsibility of the Client to ensure that the interval between Control Packets being sent does not exceed the Keep Alive value. In the absence of sending any other Control Packets, the Client MUST send a PINGREQ Packet. This means that before a keep alive time is reached the client must do a request to the MQTT broker, and in case it doesn’t, it should send a PINGREQ. It shows that a client connected from 192.168.1.200 with the client identification ESP8266 and it defined as the keep alive interval 10s. This means that at least before a ten second period is reached, the esp8266 MQTT client should send a PINGREQ or do something, like publishing to a topic. The above requirements are probably the root of my problems and the fact that the ESP8266 chip/firmware can’t do too many things at once…. The test that I was doing was that I didn’t published nothing from the ESP8266 to the MQTT broker. All I was doing was to subscribe some MQTT topic and print the messages on the I2C 16×02 LCD that I have connected to the ESP8266. Without any activity the esp8266 stayed connected to broker without any problems. If I published something to the topic subscribed by the esp8266, it worked fine. 1450190071: Socket error on client ESP8266, disconnecting. // If BRUSER is not empty, connect with user and password. startMqttClient();  // Connect to the MQTT broker. So every minute the connection to the broker is checked, and the reconnection, if needed, happens automatically. But this solution doesn’t explain why the connection is lost when the burst of messages arrive at the topic. Anyway to keep the long story short, the burst duration of messages where superior to the keep alive interval. 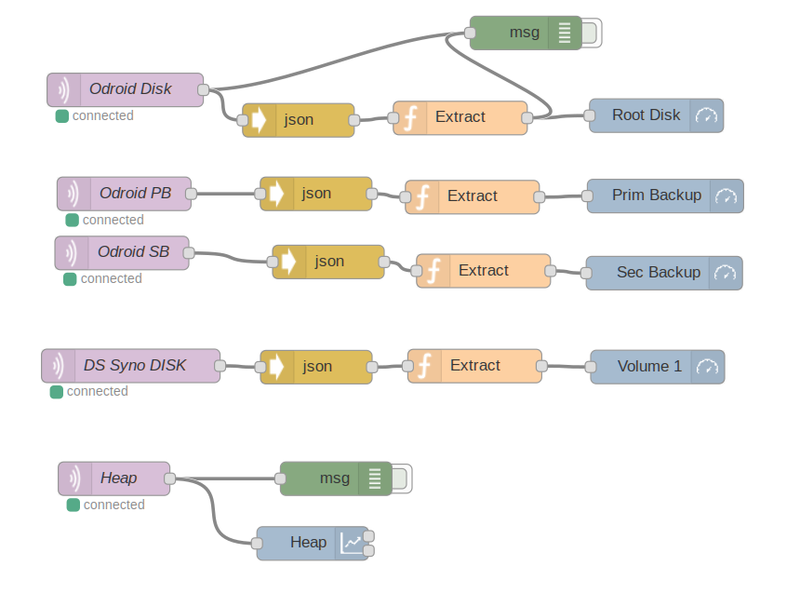 Since that during that period I didn’t publish nothing, AND, the Mqtt library was busy to receive the incoming data burst, the broker assumed that the esp8266 was dead, and drop the connection. Since the default keep alive was 10s, that value was too short to keep the connection stable under load. I can now burst messages to the esp8266 MQTT client without the connection being dropped. So as long that incoming burst of messages are under 180 seconds ( which is easy) or some publishing from the ESP8266 happens, the connection stays up. Anyway, if it fails, the check timer will reconnect again to the broker.